The English Language Resource Center of the English Department opened in 1957 as a language laboratory. Since then, the center has significantly expanded and now consists of three separate but connected units: the Language Laboratory, the Joseph Ferri Screening Room, and the Computer Room. 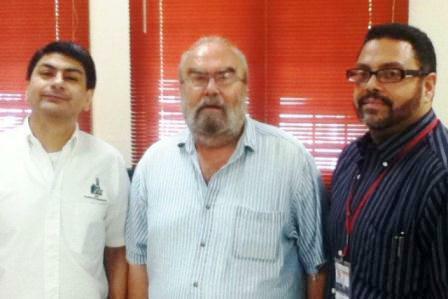 These provide services to the undergraduate and graduate programs of the department as well as other programs at UPR. The center is primarily concerned with the development of English language skills. With this goal in mind, the center provides spaces, staff, and resources to help students develop their written and spoken English skills. 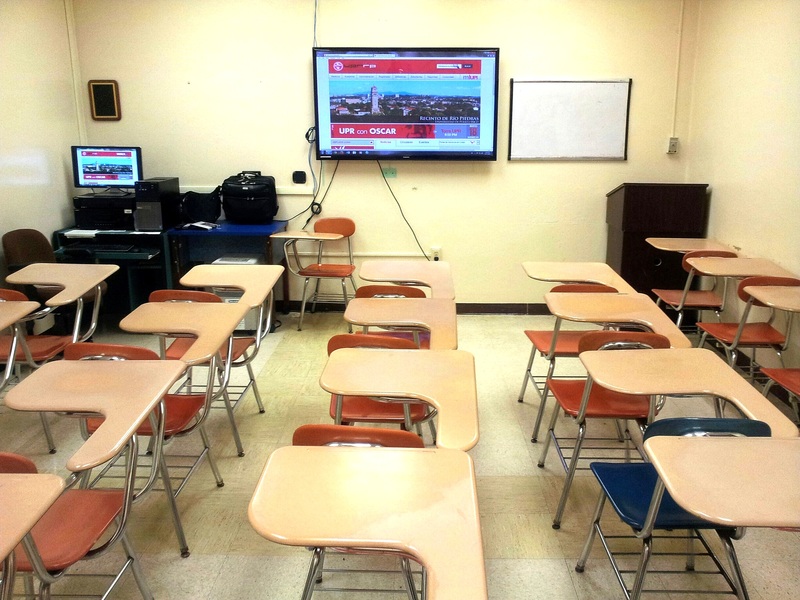 The lab runs the audiovisual exercises that complement the classroom teaching of English as a Second Language (ESL). The ESL Coordinator orders all pertinent material for lab sessions. Students registered in ESL courses (English 3031-32, 3041-42, 3051-52, 3071-72) must attend their scheduled lab periods and must comply with the regulations governing the center. Regular laboratory periods run Monday through Friday. “Make-up” labs must be completed according to the schedule that is posted in the Language Laboratory. The computers in the Language Laboratory are for the sole use of scheduled activities; they are not for general use. 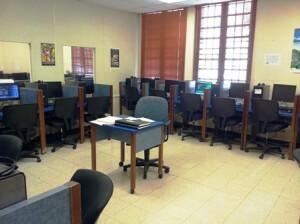 Faculty and students who need to use a computer should use the Computer Room (if available) or one of the walk-in labs on campus. No eating, drinking, or smoking is allowed in the Language Laboratory. The regulations governing the Language Laboratory are subject to change. The technicians will notify students of any changes in the rules and procedures. 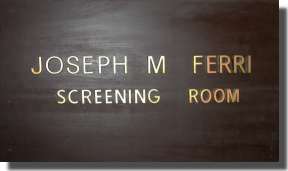 The Screening Room is a facility used for the projection of films and documentaries of the over 2,000 titles that the center houses (in DVD format). Instructors who want to use the Screening Room must reserve it ahead of time. We recommend making reservations as early in the semester as possible. Reservations can be made by speaking with one of the technicians. Film and Screenwriting courses (such as English 3220, 4029, 4038, 4039, 4055, 4265, 6067, 6515) are the only courses that may be assigned to this room for regular class sessions (and only after 2:30 p.m.). Other courses that use films as primary texts may be scheduled in this room if the professor submits a written request and justification to the director of the center but, again, only if the course has been programmed for late afternoon sessions (after 2:30 p.m).All other courses may arrange up to 6 sessions of their class meetings per semester for screenings. Unsupervised groups are NOT allowed in the Screening Room. The Screening Room is not a “meeting room.” Professors should not rely on the Screening Room to hold meetings for any purpose. Exceptions to this may be granted by the Resource Center director. Instructors should accompany their students or get someone (who must sign in with a technician) to attend the session. 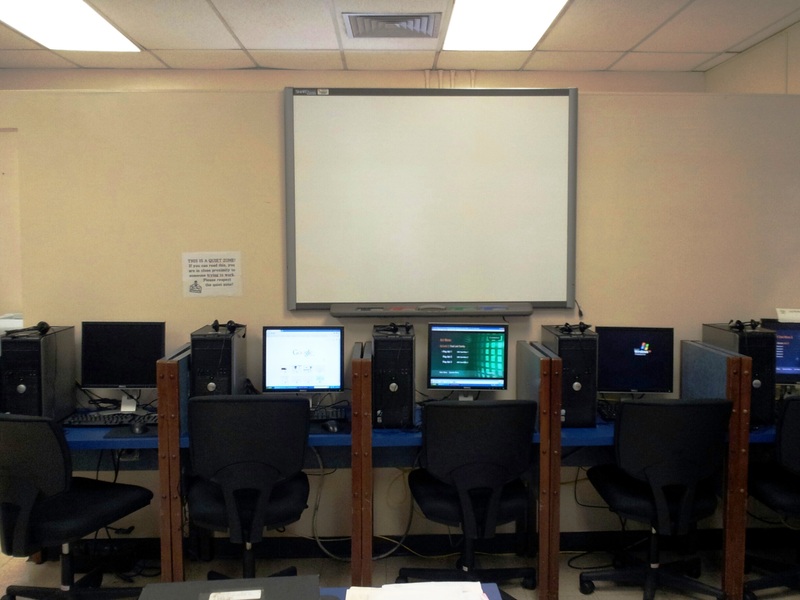 Instructors are responsible for policing and managing materials and audiovisual equipment while using the room. 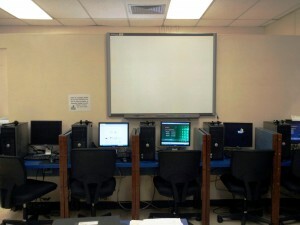 In addition, faculty are responsible for putting materials away and making certain that the room is left in order (e.g. putting desks back into rows if they have been moved). Instructors who have reserved the Screening Room for after hours can make arrangements to get a film before the center’s closing time. Keys must be picked up at the center before 4:30 p.m., and instructors must sign a responsibility control sheet. After screening sessions, instructors are responsible for shutting off the equipment and lights, for securing the room before leaving, and for returning the keys to the Resource Center in the morning of the next working day. Instructors who fail to fulfill these responsibilities will forfeit their right to use the room for the remainder of the semester. The center’s collection of movie and documentary materials is solely for pedagogical purposes and on-campus use. Professors may review material by asking to borrow them for home viewing (no more than two titles may be signed out at once). Home reviewing of non-reserved material can be done overnight or over a weekend (from Friday afternoon through Monday before noon). All borrowed material, whether for classroom or home use, MUST be returned promptly; compliance with the date/hour indicated on the sign-out sheet is a must. Failure to return videos promptly will lead to a loss of borrowing rights. An instructor may reserve titles for independent student viewing, but these cannot be borrowed for off-campus use. 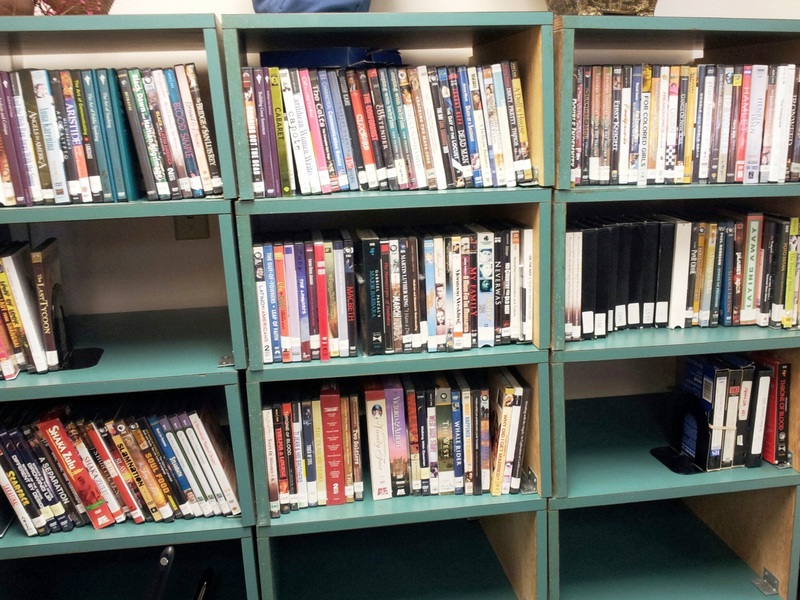 Students may make arrangements to see assigned film material on an individual basis in the center. 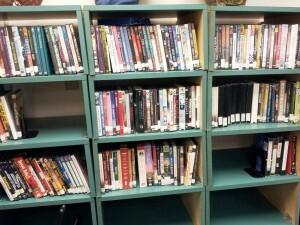 The center welcomes donations of feature films or documentaries in any format, although DVDs are preferred. Special requests for purchases may be made through the Resource Center director. 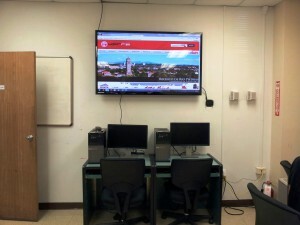 The Computer Room was funded for the sole purpose of being a teaching lab for non-ESL courses. 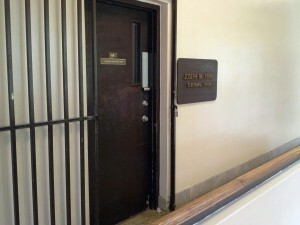 It is not a walk-in facility. The Faculty of Humanities houses a walk-in computer center within the J. E. Gonzalez Seminario Multidisciplinario for general duties such as e-mail, paper writing, research, etc. Our computer room primarily services writing classes to assigned instructors who wish to hold class sessions for exercises within a network environment. It also services English Department faculty and graduate students for academic tasks only and on an availability basis. Instructors may arrange up to 6 sessions of their class meetings in this room each semester (depending on demand, exceptions may be made on a case-by-case basis). Graduate students have the highest priority on Fridays and Saturdays. The Computer Room may not be used outside the center’s regular hours. All users, including faculty, must check with one of the technicians before using a computer. It is expected that any person who uses the room has basic computer knowledge and is familiar with the programs needed. All users must end their working sessions at least 15 minutes before closing time. No unsupervised class sessions or undergraduate students are allowed. 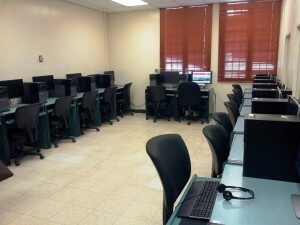 Instructors are responsible for their students’ good management of the computers and the Resource Center’s facilities. No web-navigating, chats, or e-mail writing is allowed unless such is a task assigned by the professor. For word processing, users must bring their own virus-free storage medium; no work should be saved on the hard drive. Writing on or tampering with the system’s hard disk is strictly prohibited. No material should be downloaded, configured, or modified on any of the machines (e.g. desktop arrangements, printer defaults, sound, background, etc.). The use of the laser printer must be authorized by one of the technicians or the Resource Center Director. Faculty may use the laser printer to make one copy of a document. Additional copies should be made on the English Department photocopy machine. Instructors must obtain authorization from the Resource Center Director in order for students to print during class sessions, and instructors must bring their own paper. Users should not troubleshoot. If problems arise with any of the machines, one of the technicians should be alerted immediately. Note: Eating, drinking, and smoking in this room are strictly prohibited. 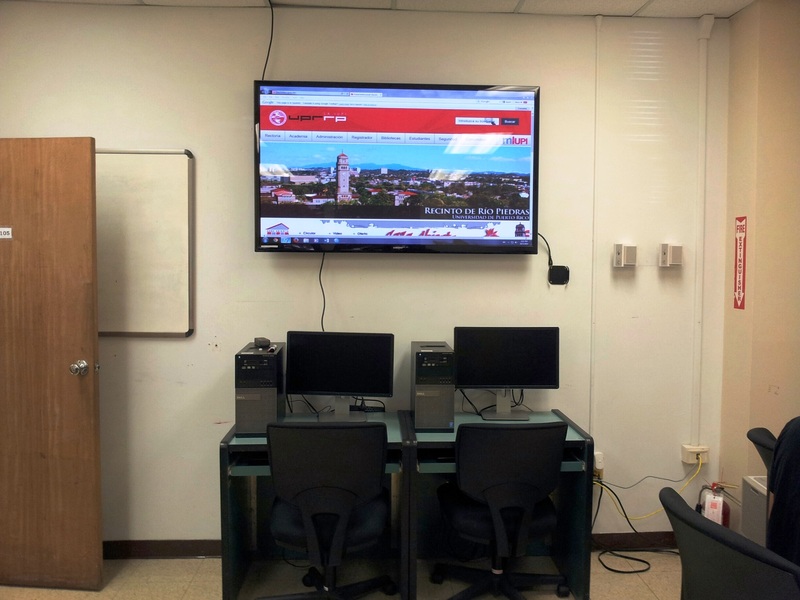 The Resource Center is open to serve not only the needs of the English Department, but those of the university community as well. Special meetings, screenings, or examination sessions may be arranged and scheduled with the Resource Center technicians.